The LeMetric Hair Design Studio / Events / Yoga in the rain on the steps! 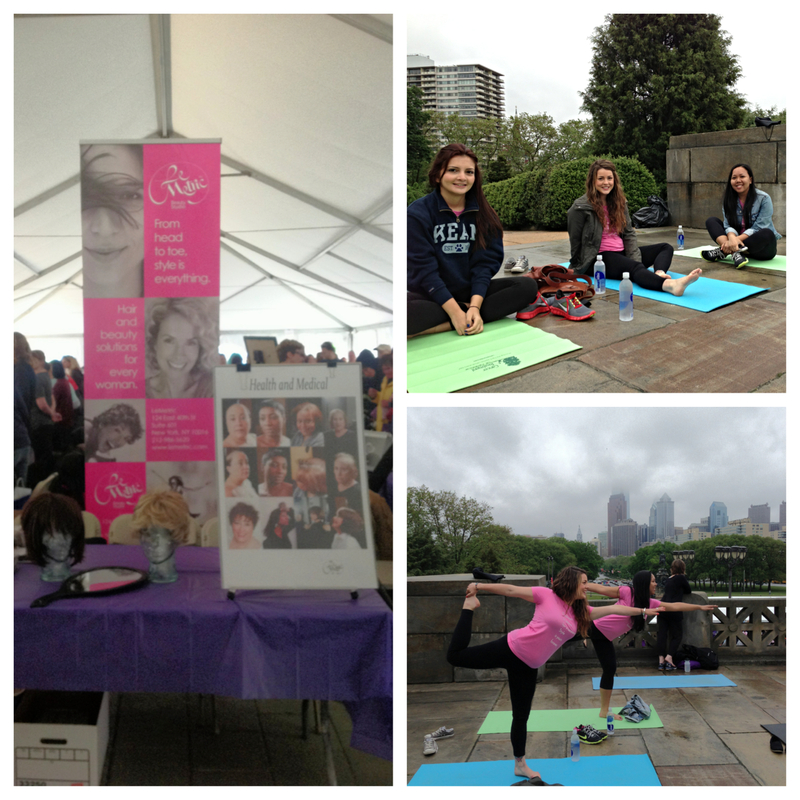 We attended the Yoga on the Steps event in Philadelphia hosted by the Living Beyond Breast Cancer Organization this past Sunday and although the weather was weather we still had a great time. Our girls joined the other amazing Yogis on the steps of the Philadelphia Art Museum in the rain. It was a very moving and empowering event to say the least. We loved all the goodies the sponsors provided as well as the energy from the other attendees. The Living Beyond Breast Cancer Organization works to empower women who have survived cancer to live a long, quality life. The Yoga on the Steps event in Philadelphia raised $238,859.20 as of today! Congrats everyone! They still have to raise their goal of $340,000.00 which you can still send donations to here. We attended the event to demonstrate to those women undergoing hair loss from chemotherapy that there are alternatives. We offer custom made hairpieces and hair extensions for women who have any type of hair loss or hair thinning. Please call us at (212) 986-5620 to schedule a free consultation!